New Directions Publishing Corporation, 9780811215718, 283pp. 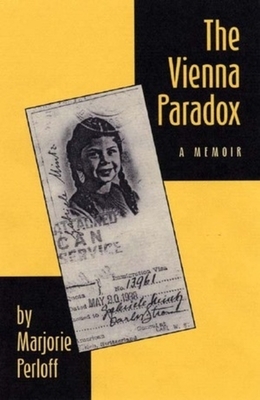 The Vienna Paradox is Marjorie Perloff's memoir of growing up in pre-World War II Vienna, her escape to America in 1938 with her upper-middle-class, highly cultured, and largely assimilated Jewish family, and her self-transformation from the German-speaking Gabriele Mintz to the English-speaking Marjorie--who also happened to be the granddaughter of Richard Sch ller, the Austrian foreign minister under Chancellor Dollfuss and a special delegate to the League of Nations. Compelling as the story is, this is hardly a conventional memoir. Rather, it interweaves biographical anecdote and family history with speculations on the historical development of early 20th-century Vienna as it was experienced by her parents' generation, and how the loss of their "high" culture affected the lives of these cultivated refugees in a democratic United States that was, and remains, deeply suspicious of perceived "elitism." This is, in other words, an intellectual memoir, both elegant and heartfelt, by one of America's leading critics, a narrative in which literary and philosophical reference is as central as the personal.